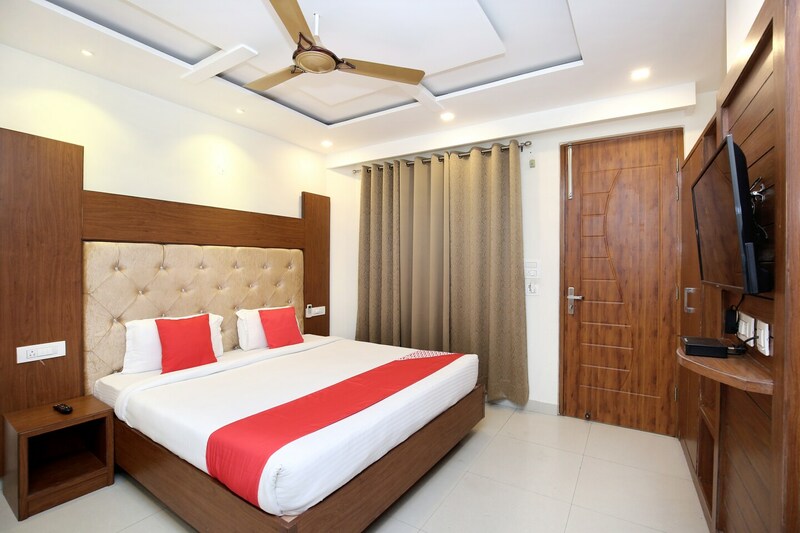 When visiting Zirakpur, Hotel Signia is the right choice with modern amenities and well-designed rooms. The rooms are well-equipped with modern wooden furniture for the pleasant stay of the guests. The wooden finishing on the walls and ceiling makes the room look vibrant. There is a banquet hall which can be used by guests for functions and events. Guests can be assured of their security as CCTV cameras are installed across the hotel. Various other facilities provided here include free Wi-Fi, laundry service and parking facility. Guests can also enjoy some tasty treats at the restaurants nearby.